Reel Gardening is designed to be the simple solution to gardening – and simple is the best way to describe it. All the worry, hassle and fuss is taken out of gardening. The illustrations below explain how easy it is to plant Reel Gardening strips. The convenience and simplicity of the seed tape makes gardening accessible to everyone. In addition you don’t need to think about which nutrients to place, what grows well together or how deep and at what distance apart to put the seeds into the soil. 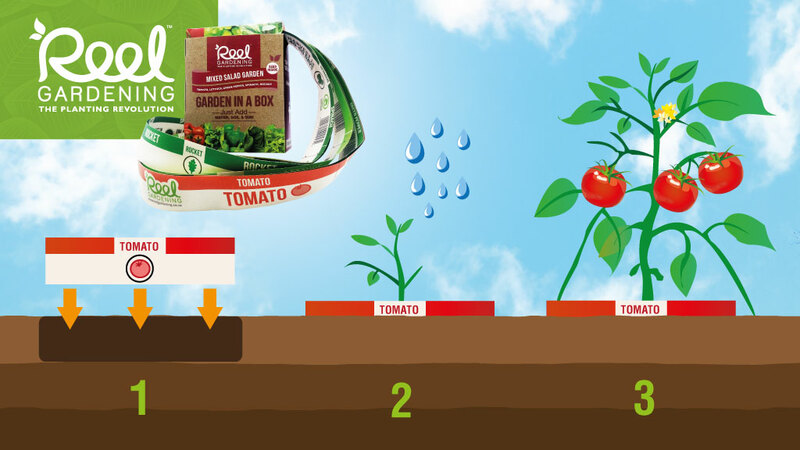 The biodegradable paper already anchors the seeds at the correct depth and distance apart with the necessary nutrients inside and every box includes companion plants. Make a furrow in the soil ± 5 cm deep. Place the seed tape vertically in the furrow so that the white area is at the bottom and the coloured band is at the top. 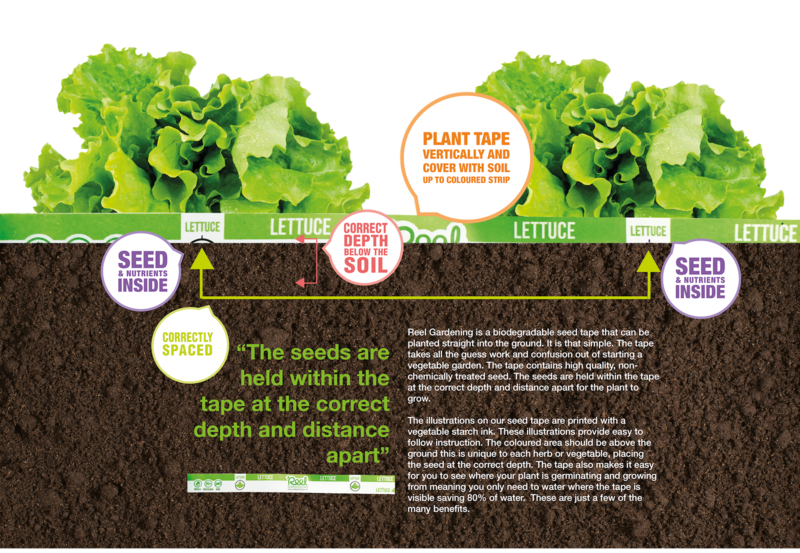 Bury the seed tape so that the white area is covered and the coloured band is visible above the soil. This places your seeds at the correct depth. Plant in full sunlight (minimum of 5 hours of direct sunlight per day). Water daily to ensure paper is consistently moist, but not soaking. Plants will sprout through the paper in ± 10 days. Paper will slowly decompose into the soil after 2-3 months. Reel Gardening is simple, and enables everyone to grow their own! from the Apple app store or the Google play store and start your own planting journey today. 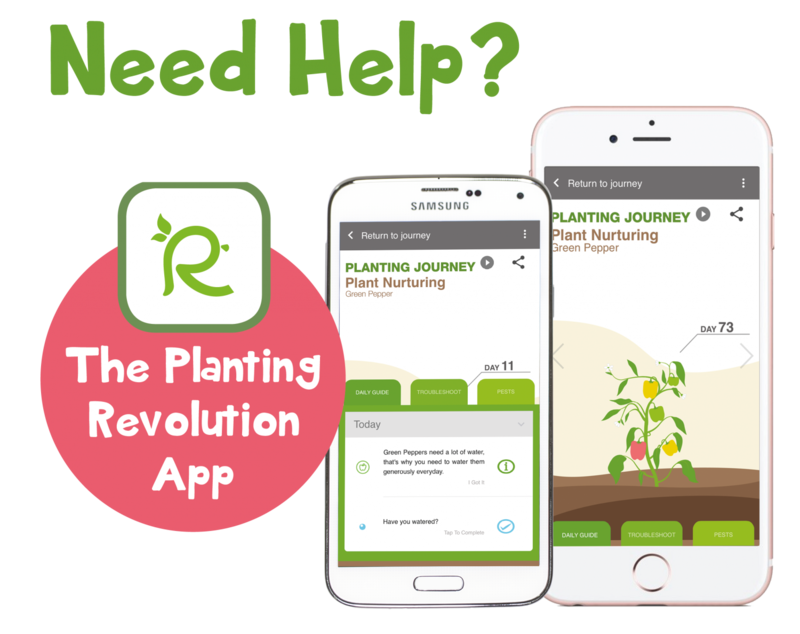 The Planting Revolution mobile application will support you throughout your planting journey. You will learn everything you need to know about vegetable gardening by watching a series of short animated videos over the 4-month growing cycle. The app will record exactly which seeds you have planted and tailor its reminders and information to suit your specific vegetable garden. The app will even remind you to water!